As part of his regular street performance, a deception specialist who goes by the name The Raven picks his audience's pockets while they watch. It's harmless fun--until he decides to keep the spare wallet a city councilman doesn't seem to miss, hoping for a few extra bucks. 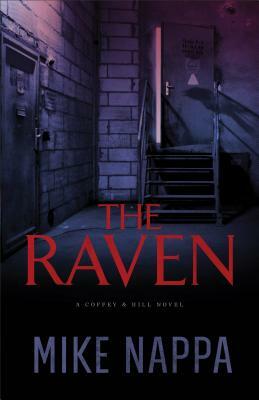 When he finds not money but compromising photos of the councilman and his "personal assistants," The Raven hatches a plan to blackmail the man. However, he quickly finds himself in over his head with the Ukrainian Mafia and mired in a life-threatening plot code-named, "Nevermore." Private investigators Trudi Coffey and Samuel Hill must scramble to sort out the clues--and their complicated feelings for each other--to rescue The Raven and save hundreds of lives from a wildcard bent on revenge. Mike Nappa snags readers from the first page of this fast-paced thriller--and he never lets go until the end.